PIGEON FORGE, Tenn. (October 2012) – A gigantic blue and green helium balloon has people all over Pigeon Forge pointing to the sky and admiring the city’s newest attraction. It is Wonders of Flight, an addition to the science- and fun-filled WonderWorks attraction on the Parkway. 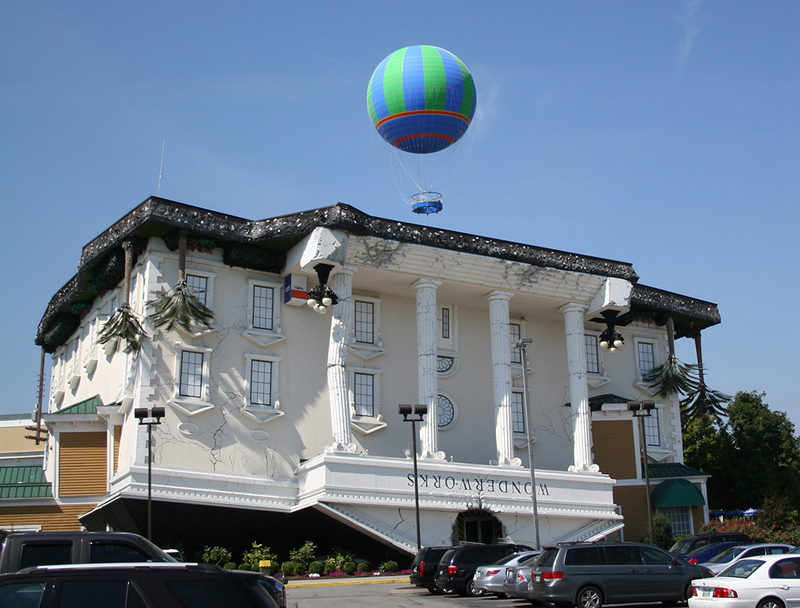 The Wonders of Flight, a helium-filled balloon 72-feet in diameter, rises silently behind WonderWorks in Pigeon Forge, Tenn. 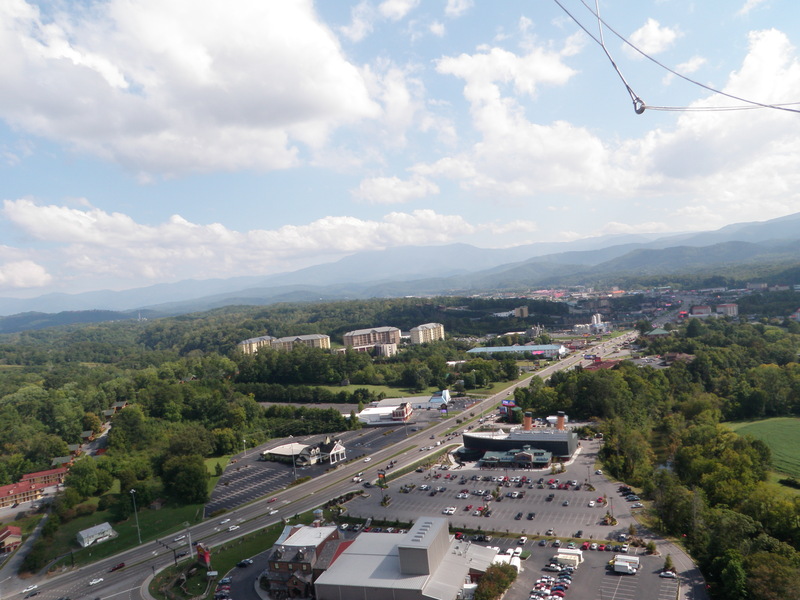 The Wonders of Flight balloon is 72 feet in diameter, and the gondola it lifts can carry up to 30 people for spectacular views of Great Smoky Mountains National Park, Pigeon Forge and the surrounding counties. It is tethered to a 400-foot-long cable. The captain says that on an especially clear day, the famous Cumberland Gap is visible on the horizon. That’s where Tennessee, Kentucky and Virginia come together. Aerophile, the world leader in tethered gas balloons, is the manufacturer. Its only other similar balloon in the Southeast is at Walt Disney World in Orlando, Fla. Other locations include China, France, Germany and Turkey. Wonders of Flight offers a spectacular view of Pigeon Forge, Tenn., and great Smoky Mountains National Park at an elevation of 400 feet. Giacomoni explains that the Wonders of Flight balloon is environmentally friendly and totally silent thanks to its permanently inflated helium envelope and a hydroelectric winch.